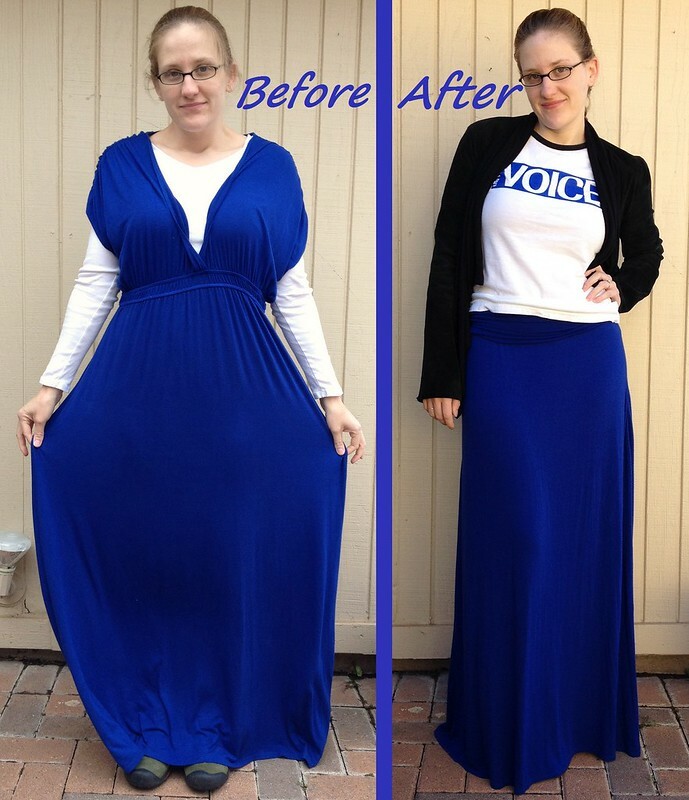 A couple years ago, I refashioned a huge maxi dress into a better fitting maxi skirt. Flash forward two years, and I could probably count on one hand the number of times I've worn this skirt. No matter how comfy they seem, I just don't wear maxi skirts. Time for it to get a NEW new life. 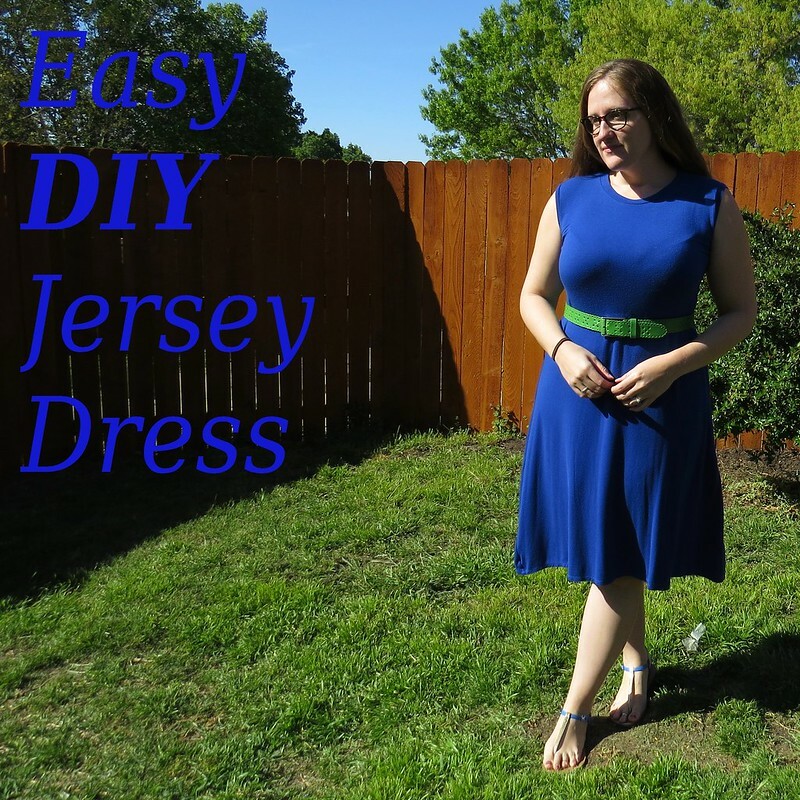 I chopped off the waistband and used a well-fitting tee to cut the new arm and neck holes. Then I used strips from the waistband to finish off those holes. Finally I took in the sides for a sort of A-line shape. For more details and photos, click on over at CarissaKnits! I'll bet you get a lot more use out of it! Great job. I loved the maxi - but as you said, not much point if you're not wearing it. Besides which, if you'd worn that, you wouldn't have made this GORGEOUS dress - love it! AND the pop of green, fab!